All Prado homes currently listed for sale in Jupiter as of 04/19/2019 are shown below. You can change the search criteria at any time by pressing the 'Change Search' button below. "Why wait for a new build? This Prado Phase II Manchester model is already completed and loaded with quality finishes. Situated on a lakefront 1 acre estate lot the home boasts over 5200 square feet of living space with 5 bedrooms, 5.5 baths, game room, and a 4 car garage. The double iron front door inside the courtyard sets the precedence as you enter the home. Stunning porcelain tile flooring through the living areas compliment the space. Open concept floor plan and a kitchen designed for the most discriminating chef, including solid wood, double stacked cabinets with matching hood, LED under cabinet lighting, quartz counters and Jenn-Air Appliance package including a 6 burner gas range." 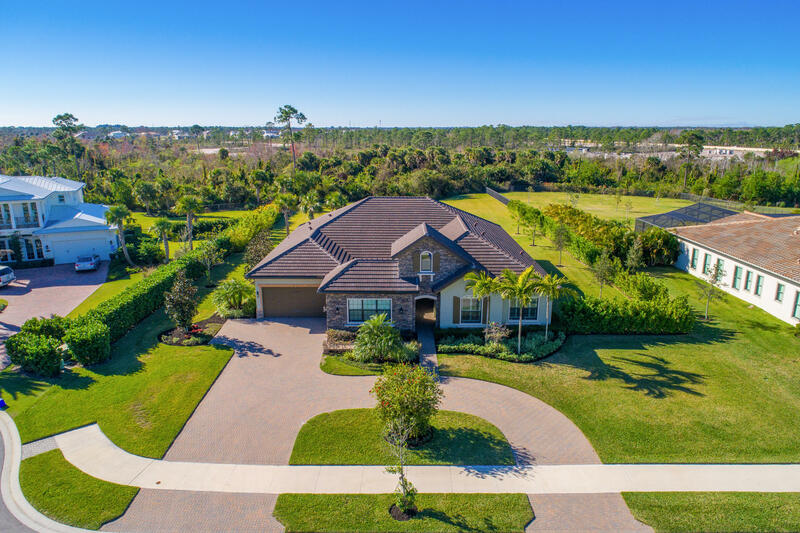 "Ideally Located in the Town of Jupiter, this Beautiful Sun Filled Light and Spacious Barrington Model is situated on one of the most Desirable, Private Homesites in Prado with over 3/4 acre on the Lush Preserve. Home features Open Flowing Floor Plan with 5 Bedrooms, 5 1/2 Baths, Large Bonus/Media Room Upstairs and a 3 Car Garage. Appointed with Luxury Upgrades including Hardwood Flooring throughout except Bedrooms and Bonus/Media Room, Designer Phillips Hue Wireless Lighting, Custom Wireless Power Shades, O'Hagen Roofline Vents for Attic air ventilation and much more. Large Open Island Kitchen with Seating, Great for Entertaining with Gorgeous Quartz Countertops, Butler's Pantry, Plus a Large Walk-In Pantry, Plenty of Storage, Jenn Air 42'' Built-In Side-by-Side Refrigerator"
"New Construction West Indies-style one-story home in the most magnificent fashion. Located in one of the most sought after communities in all of Jupiter by an award winning builder. Beautifully situated on an acre of open land overlooking a large sparkling lake. 4 bedrooms, 5 1/2 baths and a 3 side load garage complete this home. Charming courtyard with covered and open spaces welcome you to the front door. Chef's kitchen with large island and gas cooking overlook the sizable great room. Corner sliding doors lead you to the covered lanai. Enjoy your days by the custom pool and the evening view of the flame colored sunsets. Large master bedroom opens to a spa-like master bath with dual closets and water closets. 3 additional guest rooms all feature a full bath and walk in closet. Large club"
"Incredible single-story custom home features 4 bedrooms, 5.1 baths, 3 car garage in exclusive gated community of Prado on a 1 acre. This newer construction (2015) home features the Yorkshire floor plan, a split design including formal living and dining rooms, family room, bonus room, private open patio off the formal dining room and screened patio off the family room. A large island kitchen features stainless steel Kitchen Aid appliances, double wall ovens, walk-in pantry, custom 42'' soft-close wood cabinets with crown molding and under-cabinet lighting, 3cm granite counters, and custom backsplash. The bonus room off the family room is ideal for a game room/office/5th bedroom, with both family room and bonus room overlooking the screened patio and yard." 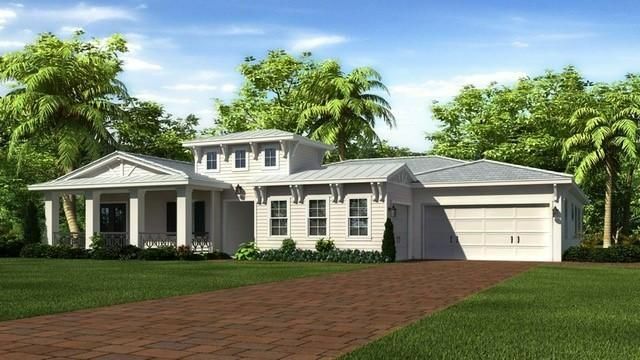 "New Construction West Indies-style one-story home in the most magnificent fashion. Located in one of the most sought after communities in all of Jupiter by an award winning builder. 5 bedrooms, 5 1/2 baths and a 3 car garage complete this home. This home is just breaking ground and is estimated to be ready for you to move in Spring of 2020." 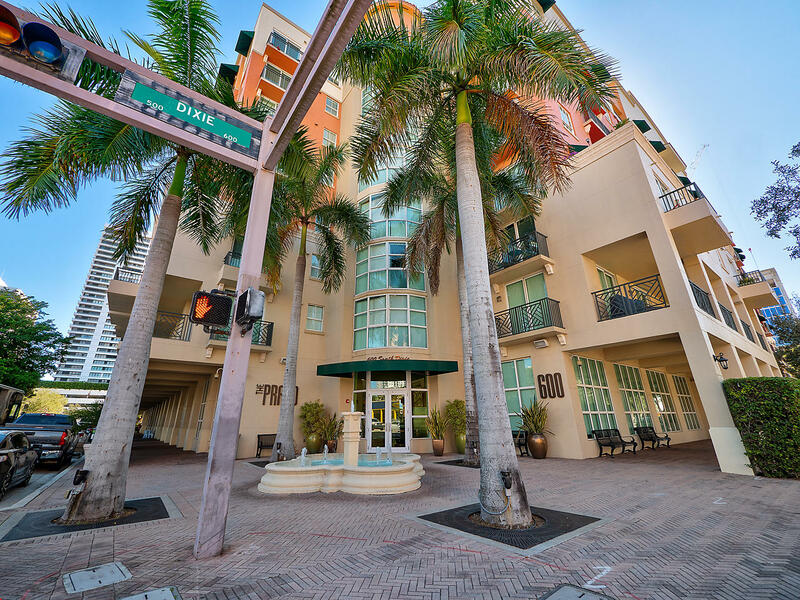 "Gorgeous 2/2 light and bright condo in the popular Prado building. The split bedroom floor plan is the most desirable setup in this building. The kitchen includes beautiful granite countertops, wood cabinetry and stainless steel appliances - including upgrades to the dishwasher and kitchen faucet. The living area is spacious and is accented by pretty crown molding. The bedrooms and closets are spacious with a customizable multi-rack walk-in closet. The bathrooms are well kept and have upgrades to the faucets, shower heads and cabinetry, with an above-toilet storage space in both bathrooms. Enjoy the relaxing city views from the open north facing patio. Other perks/upgrades include the stylish wood flooring, the open view from kitchen to living area and a brand new water heater. The Prado"
"Live and play in downtown. Whether you are looking for year round living, a vacation getaway or investment this condo is for you. Fabulous condo in the heart of everything. Located footsteps from the intracoastal waterway, walk to restaurants, shopping, night life, Kravis center, city place, clematis, Worth Ave, the beach and more. Hop on the Brightline for a quick ride to Ft Lauderdale or Miami. 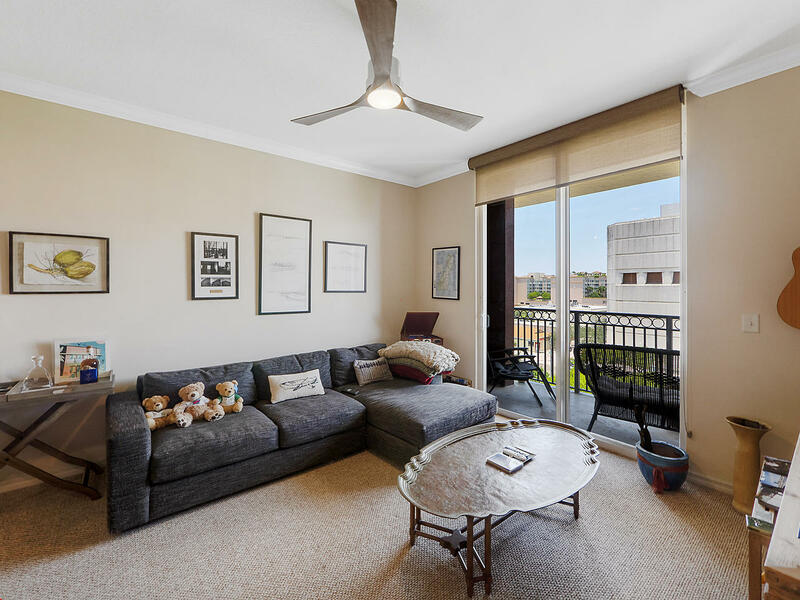 This 2 bedroom condo has an open floor plan allowing natural light. 24 hour front desk, resort style pool, gym and clubroom. Great opportunity to buy a piece of paradise in south Florida. Listing subject to errors and omissions." "Gorgeous penthouse unit with city view and far away ocean peek! 1 bedroom plus office/den. Freshly painted! High ceilings, corner unit. New stainless appliances. Very light and bright. Move-in ready. The Prado has amazing amenities including a huge pool, fitness center, hot tub, steam room, business center and 24 hour concierge reception. 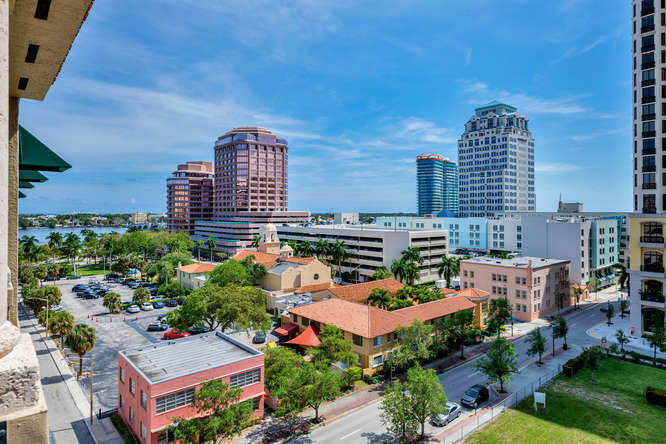 Walk to all that Downtown WPB has to offer - restaurants, bars, shops, Kravis Center, Library, Convention Center and more! 10 minutes to Palm Beach and 10 minutes to PBI airport. Great lifestyle at a great price!" "Contemporary furnished apartment turn-key. Hard-wood floors, Hunter Douglas custom window treatments, cherry-wood cabinetry, Stainless steel appliances, Glass and chrome round dinning table with two telescopic chairs. 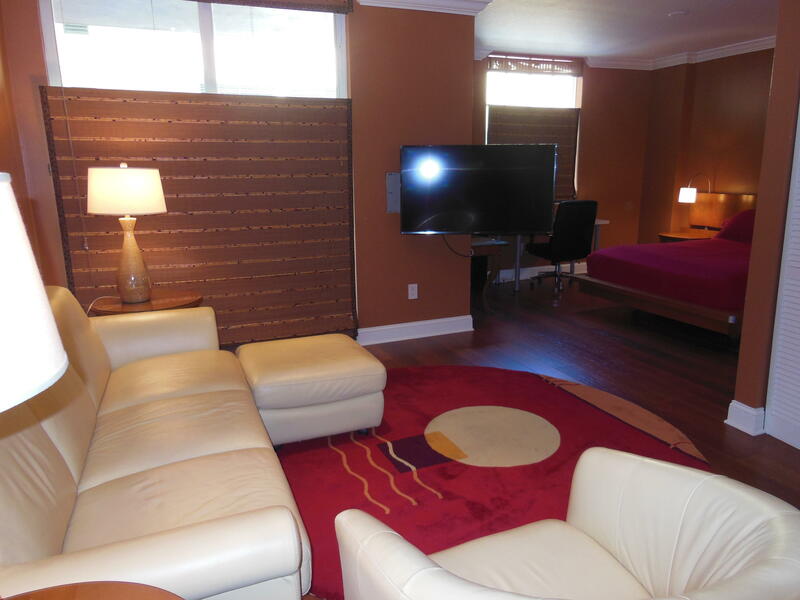 Large upgraded door and baseboard woodwork, custom wall mounted 4 K TV, that fully positions to both rooms. Natuzzi leather furniture with sleeper, custom lighting, $5,000.00 custom bed headboard and nightstands. Large roomy open floor-plan W/D, and best parking spot #200 on the same floor. The Prado has Fitness center, Swimming pool, Clubhouse, Secure gated interior parking, Media room, Manager & doorman on site. City- Place is one block away."